If the college cheating scandal has reinforced anything, it’s that one of the primary advantages of being wealthy is that the wealthy can buy more advantages. 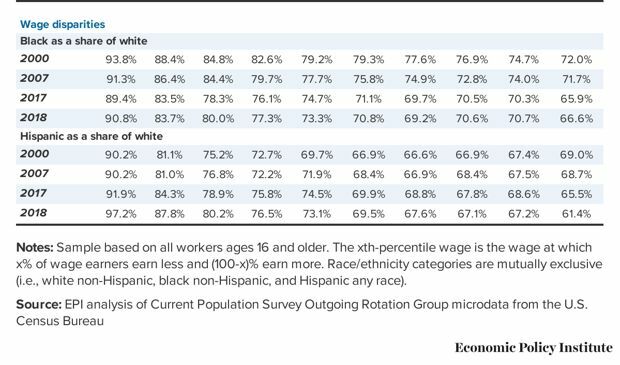 This helps explain why African Americans, who’ve historically been denied wealth, lag in almost every category of society behind whites, who have long benefited from capital extracted from black labor and culture. 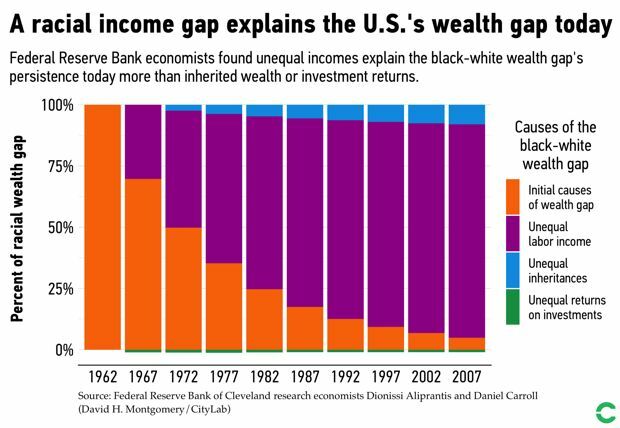 It also helps explain why—despite a “booming” U.S. economy that is nearing full employment—a giganticracial wealth gap remains. On average, white households have nearly 6.5 times the wealth of black households. This runs counter to loads of scholarship pointing to a different explanation of black-white wealth disparities in the U.S.: That narrative holds that white wealth accumulated from the trading and enslavement of Africans, and from the taking of black-owned property was passed down to white children and grandchildren. Government policies such as racial housing covenants, redlining, financial handouts for white war veterans, and highway expansionsprovided additional wealth expansion for white families while providing net-zero wealth opportunities for African Americans. Aliprantis and Carroll acknowledge this narrative as the initial conditions for how wealth began developing across divergent black and white paths.